Refer Your Deployed Troop for Our Fabulous Free Angel Goodie Shipments Today! ** We are actively seeking referrals for our June & July Angel Goodie Packages! 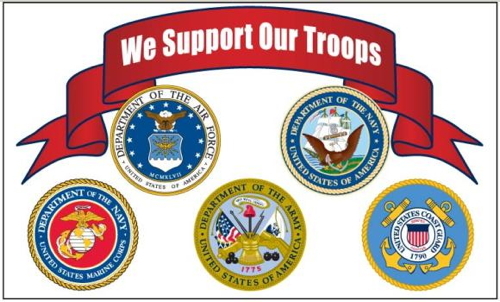 Fill out the form below and nominate your deployed Troop for our Angel support! Thank you! Delivering baked goods and comfort items to our deployed Troops has been a mission for Cindy's Baking Angels for eight years! We pride ourselves in supplying our Troops with needed items to help make their deployments more bearable and to brighten their days. When our Troops open our Angel Goodie Packages their hearts and minds are lifted and it's our honor to be able to support them during often stressful times. 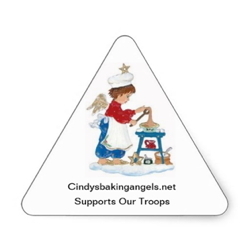 Each month Cindy's Baking Angels opens new Teams based on your referrals of deployed Troops who are in either war zones or aboard MEU's. At present, we have over 400 Angels in our network and always welcome more! Should this be of interest to you, please sign up for our Angel News List and learn about our upcoming Teams and projects! Thank you for your Deployed Troop Referral. Please complete this form & we'll be in touch shortly. NOTE: After submitting the Deployed Troop Referral form, check your email and respond. This is a double opt-in procedure as a security measure. Please feel free to email me if you have any questions. Thank you. In order to refer your deployed Troop, we need a few simple pieces of information to get him/her scheduled. Normally we accept referrals for Troops deployed in war zones or aboard MEU's. However, other special circumstances are considered. Please contact us and we'll see what we can do! 2) Soldier's Name and Shipping Address. This remains confidential and is only shared with Cindy's Baking Angels who join the Team. We preserve the security of our Troops. 3) Angels like to know a little about the Soldier. Role in the military, if able, background and human interest information is helpful. Please see "Past Teams" for article samples. This article would be posted on my web site and on FaceBook. Depending on the Soldier's role, you can be vague in the article if he/she is deployed in a sensitive area. We have had many teams that have been in remote areas and often require a higher amount of security. This has not been a problem for us and we proctect the security of our Troops. Nothing is published without the expressed approval of the Troop or referrer. 4) Provide picture(s) of the Troop for his/her article. 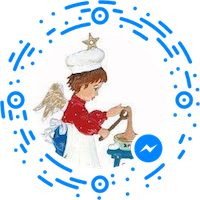 5) Create a "wish list" or "special requests" to guide our Angels in their goodie shipments. Baked goods, toiletries, comfort items, and novelties are often shipped. Let us know your preferences and we will do our best to fulfill. You can either email me the above information or use our Deployed Troop Referral Form above. I will be in touch to obtain background information, pictures, and shipping address, if not known at the time of referral. I hope we can be of support to your Deployed Soldier! Please feel free to contact me with any questions you may have.